I'm going to be attempting my first 1970's pattern this next week! 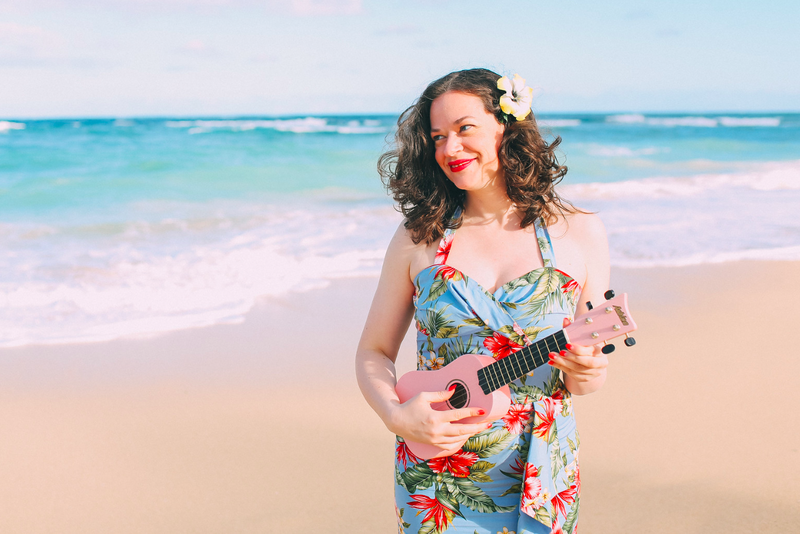 The Sew Weekly theme is "Don't judge a pattern by its cover." So, trying to make attractive garments from very unattractive pattern (envelopes). Sounds fun, no? I'm going to sew up View 1. First, I should clarify that this pattern is only hideous compared to the other patterns in my stash (I tend to buy patterns based on their pretty envelopes!) I actually think the pattern cover is kind of cute and definitely very reminiscient of the time period! However, in comparison to my other patterns, it does stand out a bit. I mean, who wouldn't want a self-decorated rick-rack poncho in their wardrobe? Or what about a vinyl cow print poncho with a matching miniskirt? One of the options for the poncho and mini-skirt is fur fabrics. I briefly toyed with the idea of making a faux fur poncho and matching mini-skirt with my leftover faux rabbit fur...though you will be happy to know that it was a very brief fleeting thought (thank goodness)! I do look forward to channeling a 70's vibe this next week! I would wear the F*ck out of that vinyl cow print poncho mini skirt combo with knee boots. Boom chick a wow wow. The cow print with matching mini skirt is hilarious!! Same here for choosing and judging patterns by their cover illustrations. I have a couple of 70s pattern but have not yet thought of making them up. Can't wait to see how this turns out! The 70s was my fashion era. I have to say I kind of agree with anonymous although I wouldn't be so rude about it. 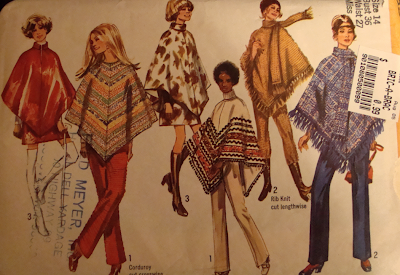 There are more worthy examples of 70s fashion than the poncho. What about some great high waisted flares (cuffed of course) and a kaftan top or vest? Hello! I'm new here. This looks like a fun project, I'm interested to see how it turns out. Rats. I'm on spring break and was hoping this week's theme would be something I could participate in (so far I only find out the theme when it's too late to take part! My fault, I finally found the newsletter signup.) I'm like you though, I tend to buy by illustration and I don't keep patterns I don't like or decide against. So my stash is full of gorgeous things (to me, anyway). I love 70s patterns, and find I do most of my actual sewing from them. 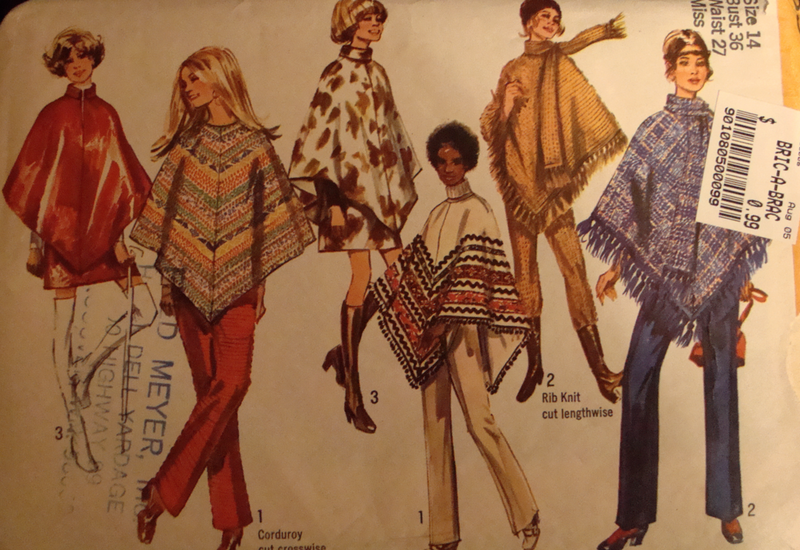 A hint for beginning sewers who are wanting to try vintage patterns: Start with a 1970s pattern. The early 70s were like today - many young people re-discovered sewing, and so the instructions were often geared toward a person with little background in sewing. I have such a hard time visualizing the final product when the envelope is hideous. I've been trying to get past this but I know what you mean about buying patterns based on their envelopes. Can't wait to see the poncho! I would NEVER turn down a poncho done in yards and yard of rick-rack. Never! And Debi, if anyone were going to make a poncho and miniskirt look good in faux fur, it would be you. You'd make it look so good that I'd actually spend a few moments thinking I could do the same. (Then I'd wake up and leave it to the professionals.) Can't wait to see your finished product! Cool! I've recently become semi-interested in 70's fashion - thanks to watching some Nancy Drew/Hardy Boys TV Episodes from that era.